The CCTV images released by police. Police have released images of a man they want to speak to after an appeal about an assault in Northumberland in February. 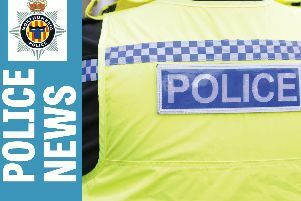 At about 12.30am on Saturday, February 17, a 23-year-old woman was assaulted by an unknown man while walking home along the cycle way leading from Cramlington village towards the Mayfield estate. Officers are carrying out inquiries into the incident and are appealing for the man pictured to get in contact. He was in the area at the time and may have information that could help with the inquiry.